in her mind. When she was given the signal, she couldn’t help but smile from her entire soul in anticipation of the formal ‘I dos’. 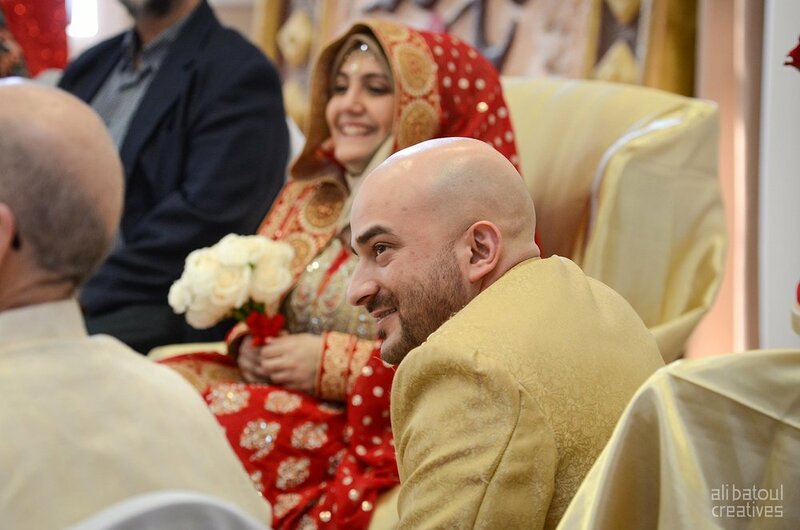 Grinning from ear to ear, Sajjad stood waiting in the hall. Happy, excited, ready — so ready in fact, he had his game gear on underneath. 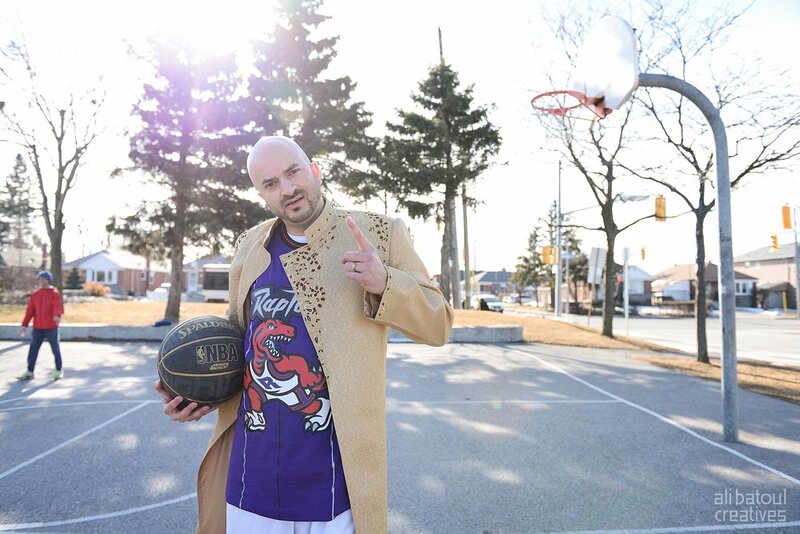 Rocking a classic Mitchell and Ness T-Mac jersey under his sherwani, it was clear Sajjad wasn’t ready to be outdone by his beautiful bride today! The hall hushed down to a whisper, eager to get a sight of the bride. 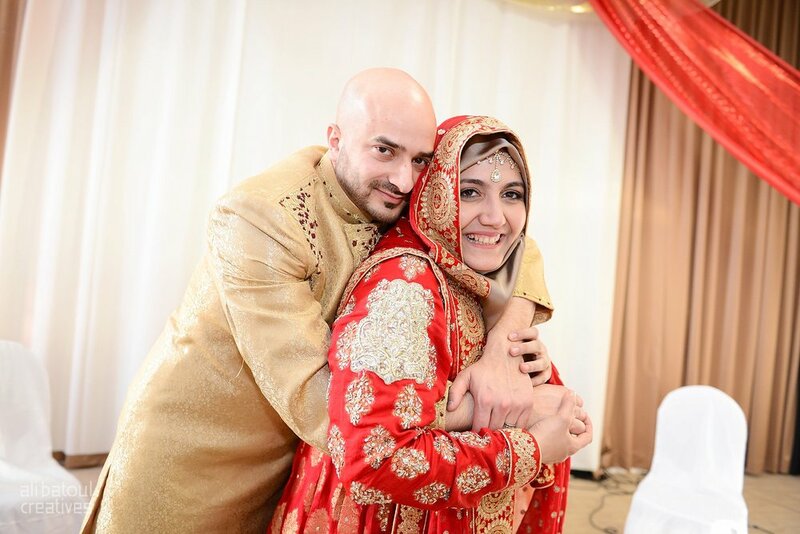 A sea of iphones, cameras and excited faces greeted Waed as she entered the hall, hand in hand with her parents — immediately she locked eyes with Sajjad and the two shared a smile. They sat together, surrounded by their family and close friends, sharing in memories, wisdom and the values that brought them together. The words of advice from the imam reverberated in the room: love is respect, love is kindness, love is forgiveness and love is patience. 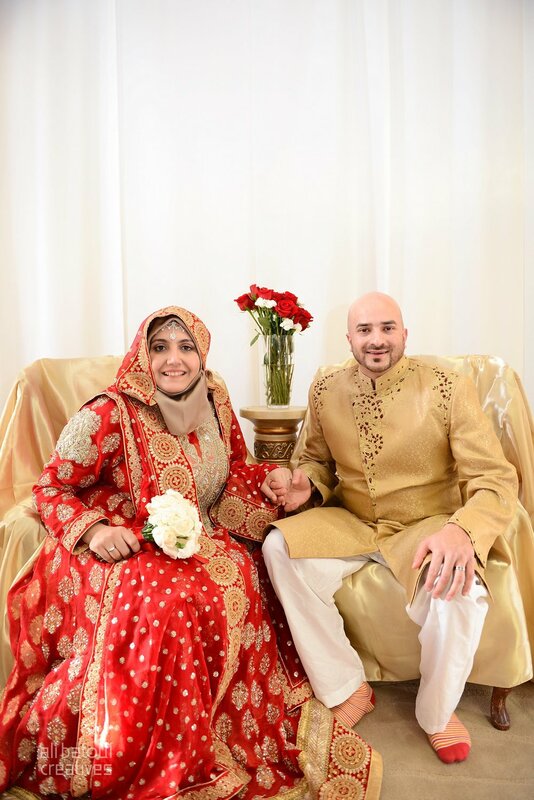 The most beautiful and important tenants of a strong and lasting marriage. 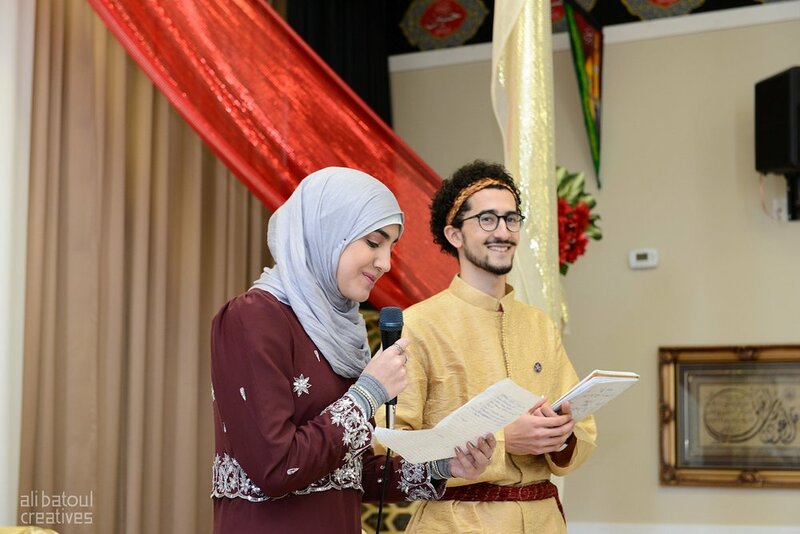 The distinct cultures and traditions from both sides of the family merged into a colourful mosaic, reflective of Waed and Sajjad’s open-hearted nature, love for harmony and community. Both outgoing and fun-loving people, they instantly connected upon being introduced by a mutual friend, and since then have never looked back. 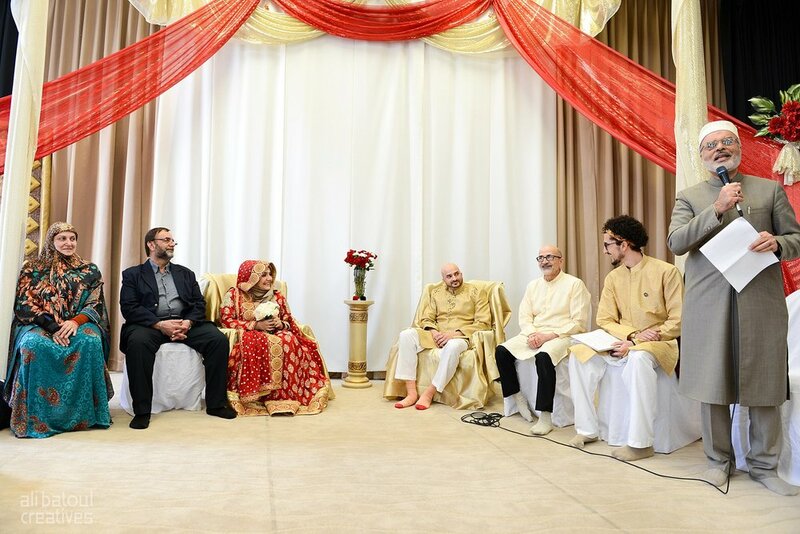 We were so happy to have been a part of this warm spring afternoon that marked Waed and Sajjad’s nikkah ceremony (Islamic marriage) witnessed by their closest family and friends. Congratulations! One of her dearest and talented friends, Aya Jaber, made her up in the library of the centre. 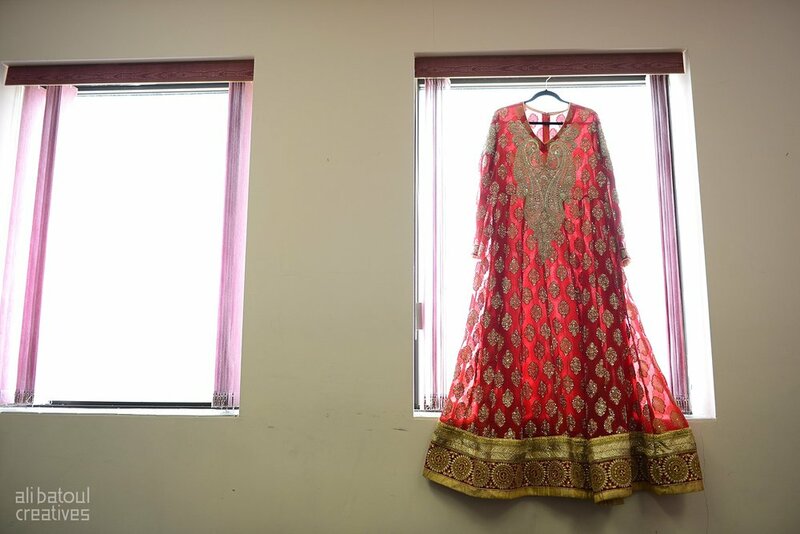 Her lengha was stunning beyond words that it needed its own room to be captured! Doesn't her smile just radiate!? 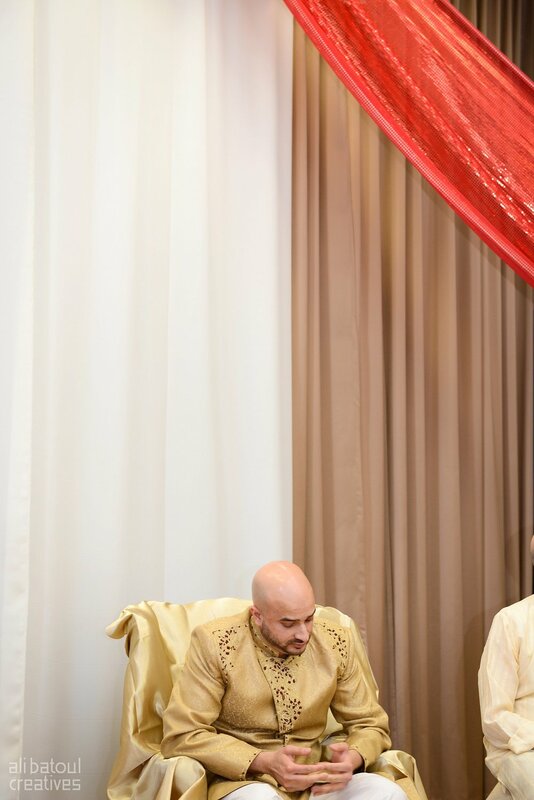 Waed and Sajjad's youngest siblings hosted the ceremony with charm and ease. Humour does indeed run in the family! We were able to steal the bride and groom away for a quick portrait shoot before lunch was served. We found this seemingly drab grey background, but I think it definitely worked with their glitzy outfits! I think he planned this one well! 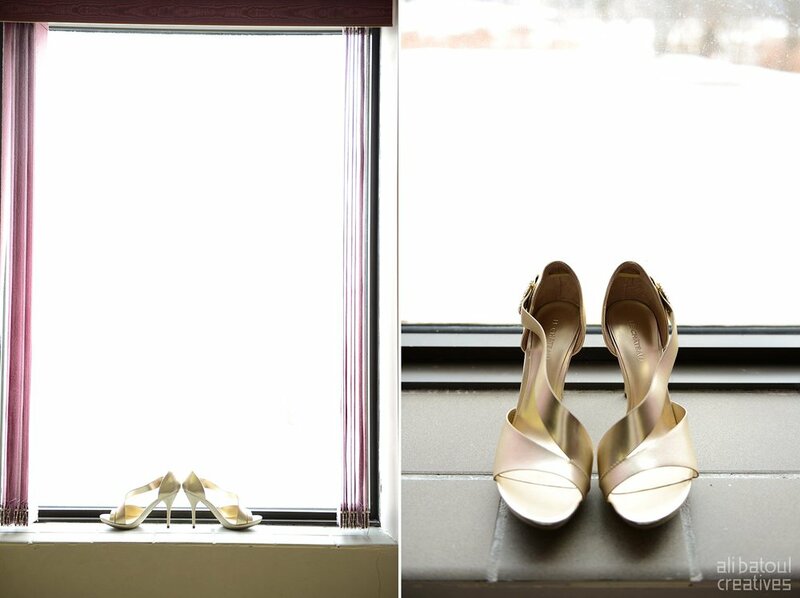 Back at the hall, we captured a few more portrait shots of Waed's gorgeous details.